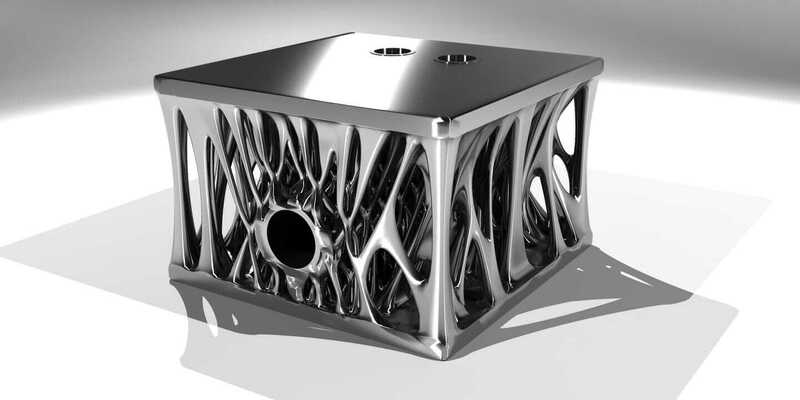 Autodesk Within generative design software was used to create this lightweight load-bearing engine block. Repeating things for decades doesn’t make them true. I can prove this pretty easily because, for 52 years now, people thought CAD was an acronym for computer-aided design. But it is time to face facts: It really stands for computer-aided documentation. The computer doesn’t aid your design. The design is in your head, and you just use the computer to document it. So what’s been standing in the way of real computer-aided design all of these years? I can sum that up with one visual. 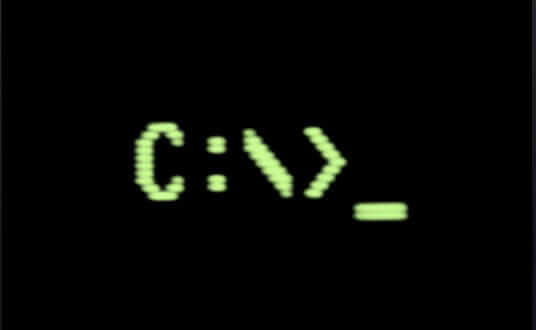 Think of the the classic C:\> prompt. Can you picture it? My guess is that when you imagined it, it was just sitting there. White text, black background. Doing … nothing. It’s the way people always use computers—as passive tools for execution, waiting for people to tell them what to do. So how can the computer be used for something more? How can it become your partner in exploration? The newfound abilities of computers to be more creative and to learn are making this idea a reality. 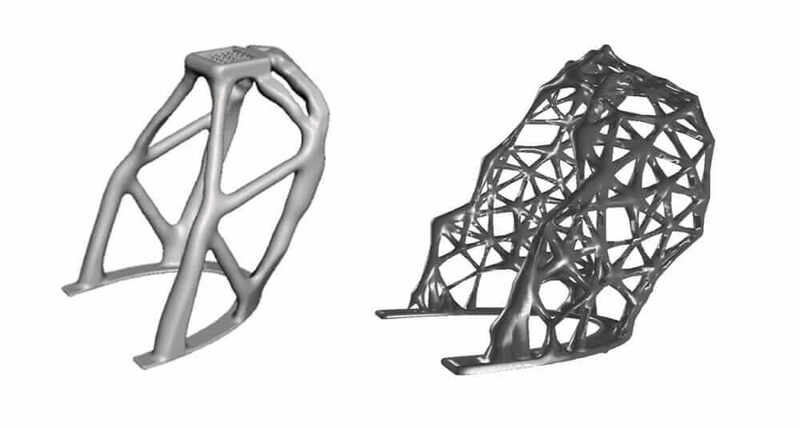 Computers that creatively come up with ideas on their own are the heart of generative design. In generative design, you share your goal with the computer, tell it what you want to achieve, as well as the constraints involved, and the computer actually explores the solution space to find and create ideas that you would never think of on your own. Let me show you an example. The photo above is an antenna designed by NASA in the 1960s. It went out on space missions; designed by an engineer, it was considered an elegant, high-performance design. 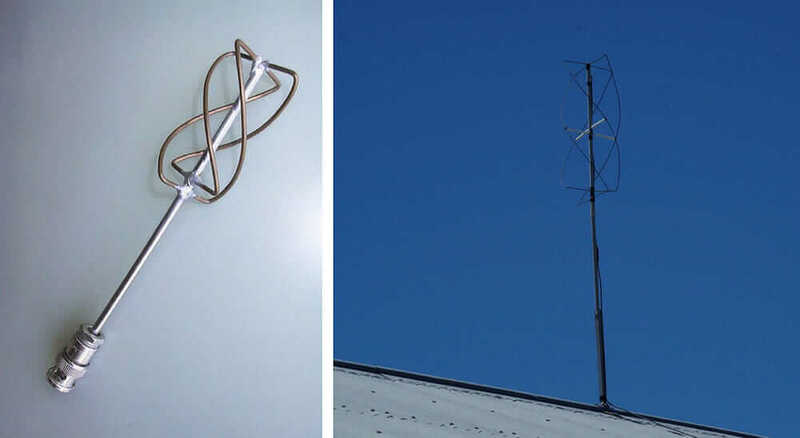 About a decade ago, engineers developed an algorithm that created and analyzed thousands of possible antenna designs, automatically simulated their performance, and progressively evolved them to achieve higher-performing solutions. This process resulted in the design below, and although it looks kind of strange, it performs twice as well as the earlier one. I think that’s actually kind of beautiful, and 100 years later, Autodesk is adopting his concept quite literally with Dreamcatcher, the company’s research project that lets designers describe the forces that act on an object and then lets computers go off and make it. These forces can be structural loads or even manufacturing methods. To give you an example, say I wanted to design a roll hoop for a Formula One race car. It’s that part right behind the driver’s head. The old way would be to start with an idea in your head, design it in the computer, and then test it with analysis software to see how it works—and that is all for one design. 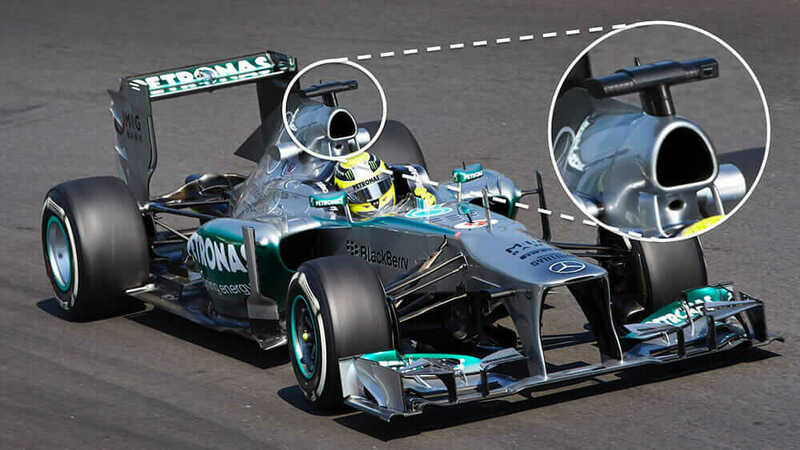 The roll hoop for a Formula 1 race car is located behind the driver’s head. With Dreamcatcher, you start by sharing the goal with the computer, telling it not what you want it to do, but what you are trying to achieve. You describe your well-stated problem, and then, using generative methods, the computer creates a large set of potential solutions, automatically synthesizing them using cloud computing. But here’s the key: In the time it would have taken you to do just one design, Dreamcatcher has done all of them. Its design proposals are delivered back to you in an explore tool, and you can then start steering through the various designs and understanding the tradeoffs between various solutions. This process may enable you to find something interesting, helping you redefine the problem so you can repeat the loop, but, ultimately, you’re going to select one of the computer’s designs to fabricate. For this roll-hoop example, the computer downloads the spec sheet of a Formula 1 car from Google and reads the specifications itself using natural language processing. It translates the specs and then starts generating all of the designs. At that point, I’m back in the design explorer, and I can go from design to design and look at tradeoffs between parts and costs, as well as changing materials. In the image here, you can see a roll hoop that was designed by the computer from a requirements document with no human drawing. Ready for the next wave of intelligent design automation? This is the computer becoming creative and able to generate ideas that people help to develop. Beyond creativity, the sea change is the computer’s ability to learn. The labels on the photographs below were generated automatically by a computer. It was shown millions and millions of images as a training set, and now it knows how to label things it has never seen before. 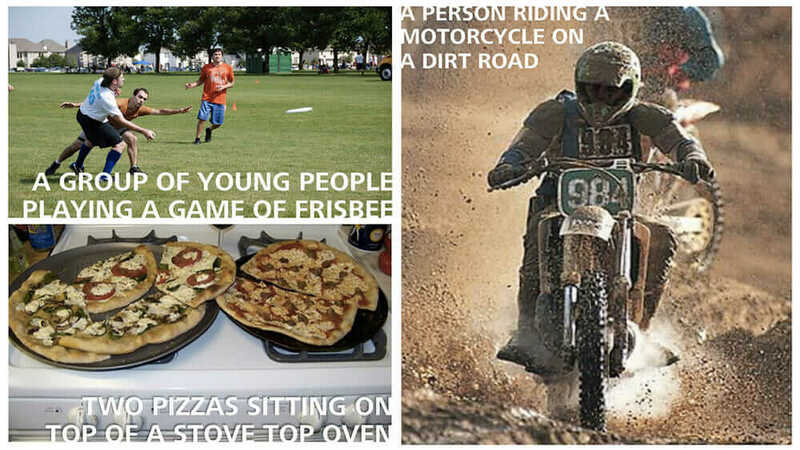 These are actually pretty complicated pictures, yet the computer knew it was “a group of young people playing a game of Frisbee.” That white thing is a Frisbee, but it’s only a little line. How the heck did it know? Autodesk is taking that same idea and applying it to design software and analysis. When I think about all of the analyses that I run—and I run a lot of analyses—the funny thing is that as soon as I’m done, I throw it all away and the computer has amnesia that it ever happened. Good results and bad results that have a lesson in them all evaporate, and the computer treats the next question as if it had never seen anything like it before. But what if there were a machine-learning system in the loop so that every time I analyzed something for its aerodynamics, the computer got an impression of the connection between cause and effect? What would the results be if that happened over and over again? Eventually, I won’t need a deep analysis to arrive at an opinion, because I’ll have a deep-learning system that can tell me its hunch. It can always ask if I then want a more serious investigation, based on tried-and-true analysis code. I like having that second opinion available, but I’m often satisfied with the quicker one sooner: an idea, a gist of what aerodynamics means. Then, I’d be able to show the computer a brand-new thing it had never seen before, and it could give me an opinion about whether or not it was aerodynamic. I think it’s remarkable that computers are going to start having opinions. But here’s the really interesting part: Imagine if the computer were doing this in its off hours. What if it were generating new forms on its own, putting them through analyses, and seeing the relationship of cause and effect? The systems that understand those linkages will start getting hunches about things that a company is working on. How many times have you ever talked about learning a new design tool? I think it’s about time there was a design tool that learned you! This is a world reliant more than ever before on imagination and innovation. Those are the twin engines in a world of infinite expressibility, and the great news is, everyone is empowered with them. Imagination and innovation made designers passionate about designing and creating things in the first place, and I am extremely excited to be working on tools for the imagination age—an age in which CAD represents a new acronym: computer as designer.